Newly repackaged, here are the five masterpieces by one of the world's greatest playwrights, in translation by Ann Dunnigan. As Robert Brustein declares in the foreword to this edition: "in the modern theater...there are none who bring the drama to a higher realization of its human role." 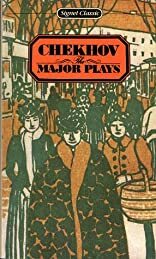 About Anton Pavlovich Chekhov (Author) : Anton Pavlovich Chekhov is a published author. Some of the published credits of Anton Pavlovich Chekhov include Kashtanka, The Wife. About Robert Brustein (Editor) : Robert Brustein is a published editor and a translator. Published credits of Robert Brustein include The Major Plays (Signet Classics).